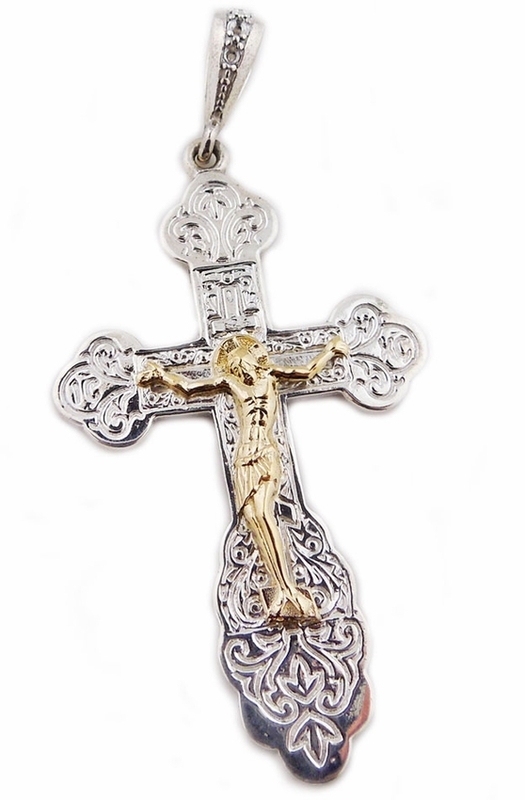 Large Silver 935 Russian Cross with 14kt Gold Corpus Crucifix. Three Bar Cross On The Back Side with "Save Us" engraving. Two Tone Silver Cross w/ Gold Crucifix, Large, 2"
Two Tone Silver Cross w/ Gold Crucifix, 1 7/8"